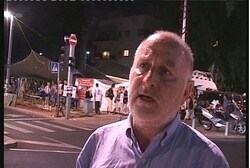 Meir Indor, Chairman of the Almagor organization, warns against Netanyahu’s reported intention to release dozens of terrorists. The Chairman of the Almagor Terror Victims’ organization, Meir Indor, warned on Monday against Prime Minister Binyamin Netanyahu’s reported intention to release dozens of terrorists as a gesture to Palestinian Authority Chairman Mahmoud Abbas, in exchange for a return to peace talks. Indor told Arutz Sheva that any sentence given to a terrorist is never final, since any terrorist can later be released because of things such as pressure, gestures by the Israeli government or a deal to release terrorists. He stated that releasing terrorists is a threat to the Israeli public and often brings about serious terrorist attacks, adding that the road to release terrorists is opened each time Netanyahu’s envoy, Attorney Yitzchak Molcho, meets officials in the PA. The same applies, he said, to the recent planned meeting between Abbas and Kadima chairman Shaul Mofaz that ended up being canceled. Indor said that such meetings should not be viewed as fruitless and pointless, because they bear fruits for the Arab side in the form of terrorists being released. A PA official said on Monday that Abbas had refused the Israeli officer for a staged release of security prisoners from PA enclaves in exchange for returning to peace talks. Issa Qaraqe, the PA Prisoners Minister, said that Abbas insists that all 123 prisoners held since before the 1994 Oslo agreement be freed in a single release. Abbas, despite having described Netanyahu as ‘a partner for peace’, has repeatedly continued to demand that Israel accept the indefensible pre-1967 lines as final borders, release all Arab terrorists from its jails, and halt construction in Judea, Samaria and east Jerusalem for a second time before talks begin. He recently warned that he may seek non-member status for a Palestinian state at the United Nations if peace talks with Israel do not resume. Almogor threatens to petition the High Court if the Attorney-General doesn’t stop the Uri blau plea bargain. Former Haaretz reporter Uri Blau signed a plea bargain with the state on Thursday, pleading guilty to possession of some 1,800 secret military documents leaked to him by then-IDF soldier Anat Kamm. He now faces up to four months in prison. Blau, who had worked as a reporter for Haaretz, agreed to plead guilty of possessing the papers but stressed that he had no intention of harming the state. The prosecution noted that the content of the material that Blau held had the potential to cause “enormous” damage to the state or endanger the lives of soldiers, had it fallen into enemy hands. In a press release, the prosecution said Blau admitted he had received a USB flash drive with 1,800 military documents, many of them classified as “secret” and “top secret.” The device was given to the former reporter by Anat Kamm, who had stolen them during her service and is now in jail convicted of espionage charges. The documents included detailed maps and numbers of the IDF’s emergency and wartime plans, as well as orders and protocols of routine operations. According to a Justice Ministry press release, Blau faces up to four months in prison, but a judge could commute his sentence to community service instead. In a statement at the end of May the prosecution explained why it did not push for harsher espionage-related charges, citing considerations of freedom of the press. Almagor, an right-wing organization that helps victims of terror attacks and their families, wrote a letter to the attorney general asking him to stop the deal. In 2008 Blau published details from the documents in a series of articles about the IDF’s practice of targeted killings that led investigators to Kamm’s door, and in 2010 she was arrested for espionage. In February 2011 Kamm entered into a plea bargain and pleaded guilty to leaking state secrets in return for not being charged with damaging national security. In October 2011 she was sentenced to four and a half years in prison and 18 months’ probation. Haaretz publisher Amos Shocken told Walla News that the prosecution’s decision to file an indictment was unfortunate and could lead to a chilling effect on a reporter’s ability to cover the defense system. He added, however, that he respected Blau’s decision to settle. ‘Haaretz’ reporter will admit to illegally possessing classified documents in exchange for 4 months of community service. Uri Blau, the Haaretz journalist who obtained stolen classified IDF documents from former OC Central Command secretary Anat Kamm, will not go to prison, the Tel Aviv District Attorney announced on Thursday. The state has reached a plea bargain agreement with Blau’s attorneys, under which he will admit charges of illegally possessing classified information. In return, prosecutors will ask the court to hand down a four-month community service term. The district attorney filed an amended indictment in the Tel Aviv Magistrate’s Court that charges Blau under Article 113 of the Penal Code, which deals with aggravated espionage. Despite that, Attorney-General Yehuda Weinstein said in May that the charge of espionage, in the traditional sense of the term, will not be applied to Blau. Like all plea bargains, the state’s deal with Blau is subject to court approval, and the Tel Aviv Magistrate’s Court will convene later this month to hear the amended indictment. The indictment says Blau obtained around 1,800 classified IDF documents from Kamm, on a portable USB storage device. Kamm, who stole the documents during her military service, is serving a four and a half year prison term following her conviction in February – also under a plea bargain – in which she pleaded guilty to gathering and storing classified military documents and transferring them to Blau. The documents Blau received from Kamm contained information about various military operations, including the deployment of IDF forces, summaries of IDF investigations, IDF assessments and the various goals of the IDF, the indictment said. Blau used the classified material as the basis for two Haaretz articles. In the first, published in late October 2008, Blau accused the IDF of defying a High Court of Justice ruling against the targeted killings of Palestinian terrorists. The second, published a few weeks later, similarly intimated that the IDF had earmarked Palestinian terrorists for targeted killings. Blau held the documents for two years until he finally handed them over to the Israeli authorities, the indictment said. However, he initially gave security officials only around 50 documents, the indictment said. Blau continued holding the classified documents on his personal computer, which posed a serious risk of damage to state security, according to the indictment. Blau went abroad from December 2009 until October 2010, even though he knew the Shin Bet (Israel Security Agency) wanted to question him, the indictment said. In May, the attorney-general announced he would prosecute Blau, saying he had taken into account the need to preserve the character of a free press and allow the media to carry out its essential public role. On Thursday, the Jerusalem Journalists Association said they “regretted” that Blau and the state had signed a plea bargain. “The deal in actual fact confirms the state’s arguments that journalists are prohibited from possessing classified documents,” the association said. Danny Zaken, the association’s chairman, said the state should have dropped all charges against Blau, or the court should have rejected the state’s arguments in the name of press freedom. MK Nachman Shai (Kadima), a journalist by profession, also criticized the plea bargain, saying it was “very unfortunate that the attorney-general has not completely retracted the accusations against Blau.” He called for the prosecution to drop the charges, and said the Israeli press may now be too scared to fulfill its public role. Attorney Hila Cohen of civil rights NGO the Legal Forum for the Land of Israel slammed the plea bargain. Cohen told The Jerusalem Post there was a “huge gap” between Weinstein’s announcement in May and the plea bargain and said it was in contempt of the law. Meir Indor of the Almagor Terror Victims association also blasted the plea bargain, accusing the prosecution of yielding to media pressure. Indor said the organization would petition the High Court against the deal if Weinstein did not stop it. “The prosecution’s message is this: steal, publish and trade Israel’s state secrets. If you belong to the right industry, you’ll get out cheaply,” Indor concluded. “We did not think it [was] right to indict him. However, after the attorney-general decided to do so, and because there is and never was any dispute about the facts, Blau has admitted the offense of possessing the documents,” the paper said. Hamas’ military wing, denounces the 54 life terms handed down to its former senior commander, Ibrahim Hamad. 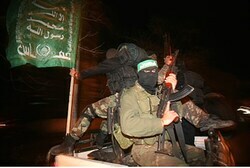 The Al Qassam Brigades, Hamas’ military wing, denounced on Sunday the sentence handed down to the group’s former senior commander, Ibrahim Hamad. 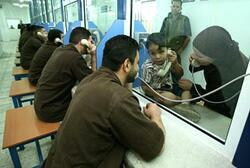 Earlier on Sunday, an Israeli military court sentenced Hamad to 54 life terms in prison. Hamad was the Judea and Samaria head of Hamas’ terrorist operations from 2001 to 2006, and coordinated attacks in which 46 people were murdered and more than 400 were wounded. Hamad, 47, was released for prison in 2001 and immediately returned to terrorism. He was arrested again five years later after a lengthy manhunt. Meir Indor, the head of the Almagor organization for victims of terrorism, said Sunday that he is not reassured by the 54 life sentences handed down to Hamad. “The life sentences given to Ibrahim Hamad are temporary sentences, in effect only until the next kidnapping or the one after that,” Indor said. The head of the Almagor organization for victims of terrorism said Sunday that he is not reassured by the 54 life sentences handed down to Hamas terrorist Ibrahim Hamad. Hamad was found guilty of planning and assisting in the murders of 46 people and the injury of more than 400 more in several suicide bombings. “The life sentences given to Ibrahim Hamad are temporary sentences, in effect only until the next kidnapping or the one after that,” Almagor head Meir Indor said. “The only ones who are serious are the terrorist groups,” he added.